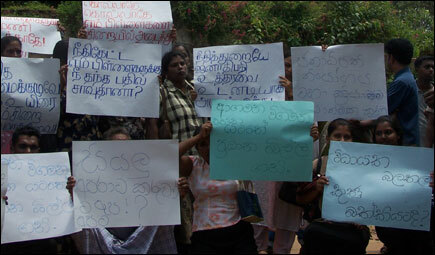 Prisoners demand that they be released immediately if the Government of Sri Lanka is unable to press charges against them, civil society sources said. The detainees belong to Tamil, Muslim and Sinhalese communities and are held for violating the immigration act, official sources said. All three communities took part in the protest.